Barn Owl Imagery started in February 2019 with currently three drone pilots who are FFA certified to fly. Chris and I have over two years of experience utilizing drone technology for capturing aerial imagery for agricultural purposes. Chris has been working for over 7 years and I have 5 years experience working in the Ag industry. We both earned Bachelors degrees, in addition, to my Master of Science degree working with soybean breeding and diseases. 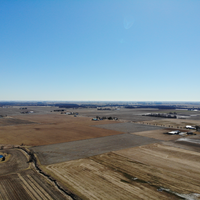 While we specialize in agriculture, we also provide high quality aerial images for construction, real estate, roof inspections, and cinematography.